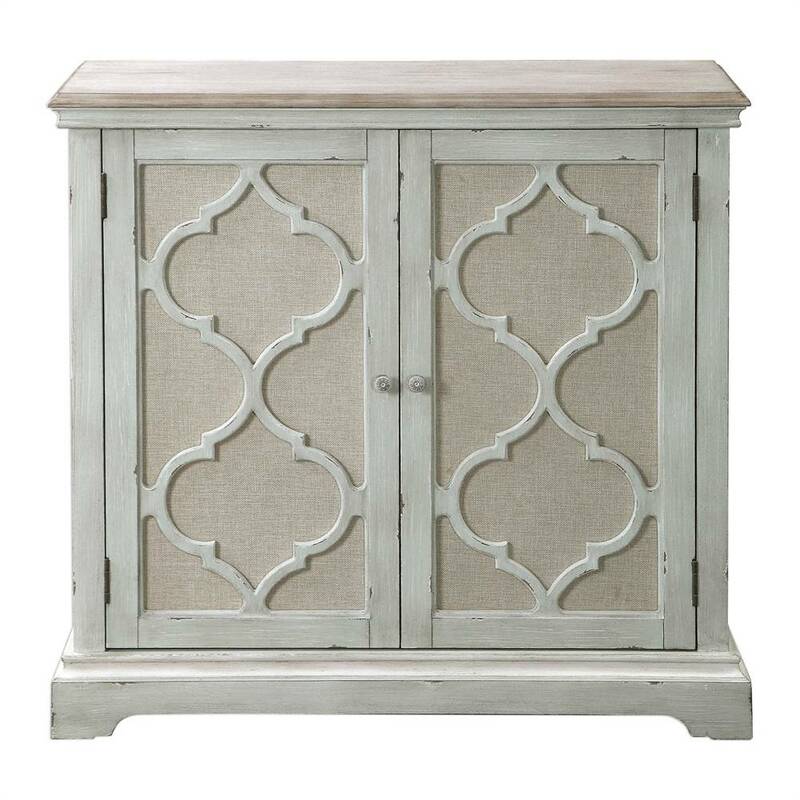 This casual accent cabinet provides great storage for your home. 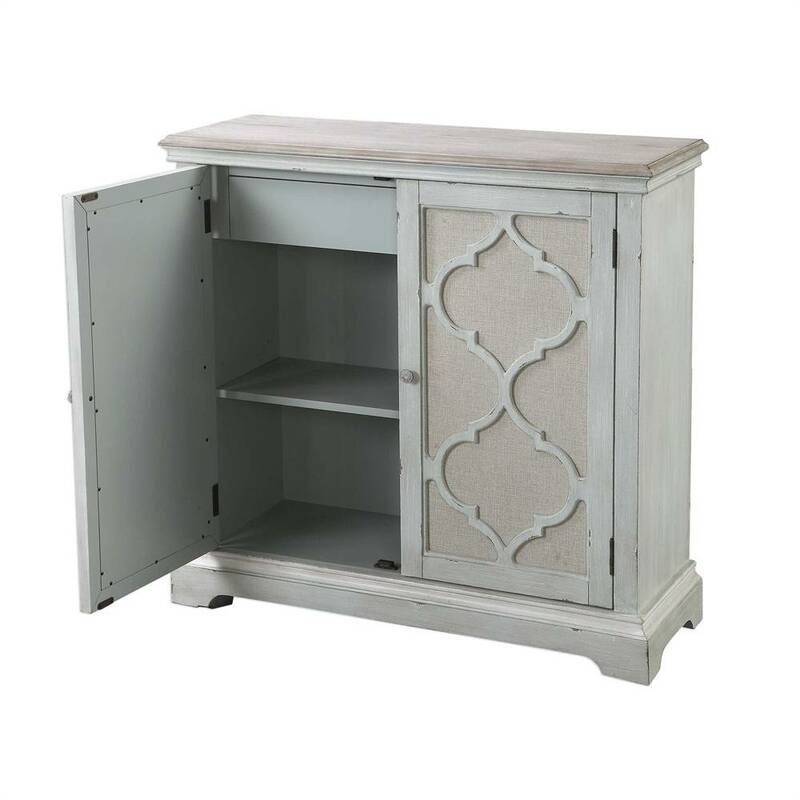 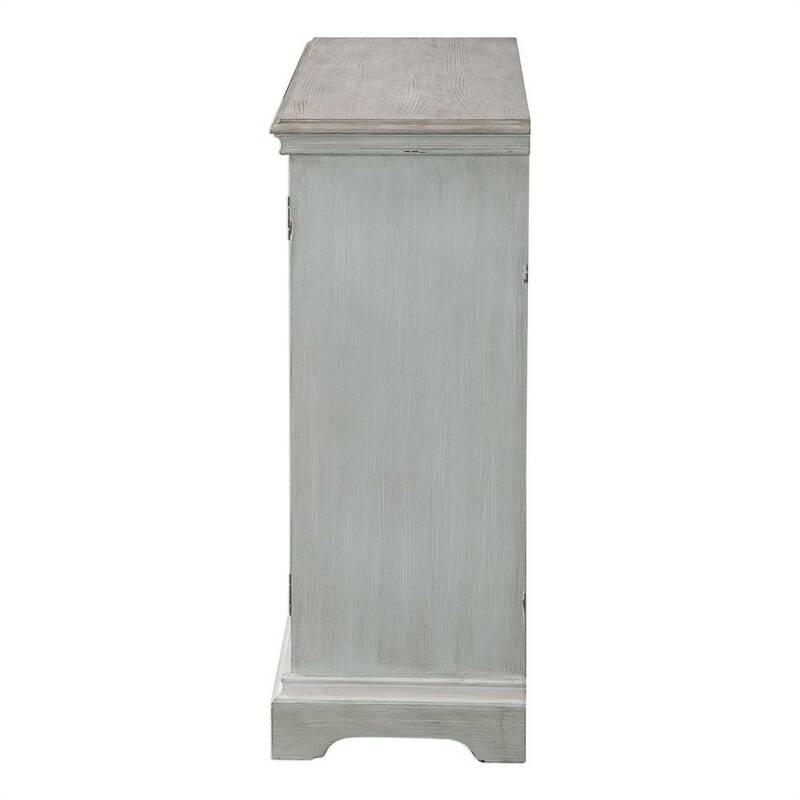 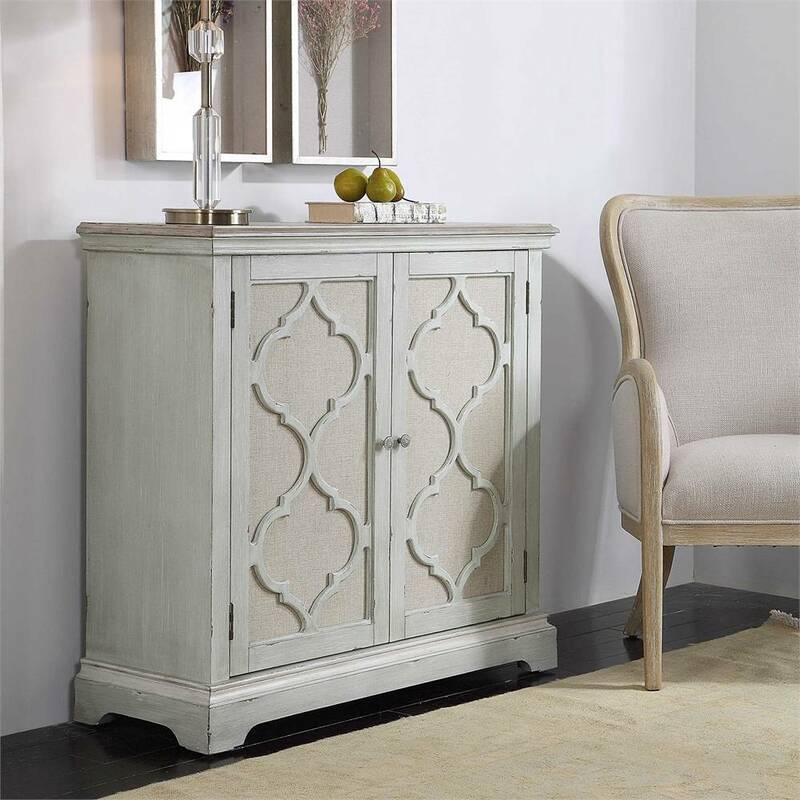 The Sophie 2 Door Cabinet by Uttermost features a weathered sea gray finish that adds a Coastal Beach feel to this beautiful piece. 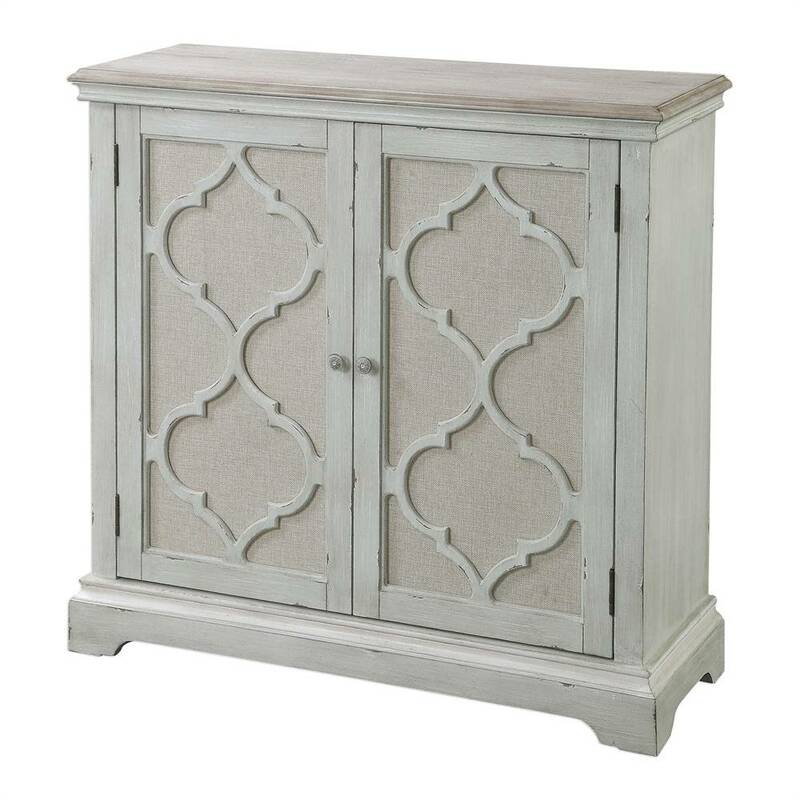 The decorative carved doors are backed by light tan linen and there is one adjustable shelf inside. 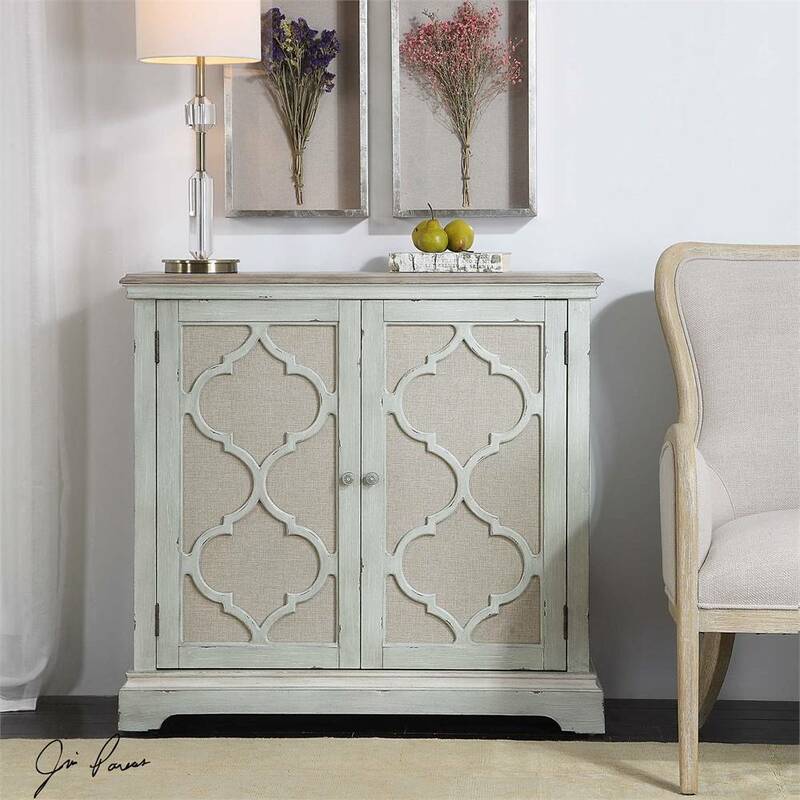 I love this piece. 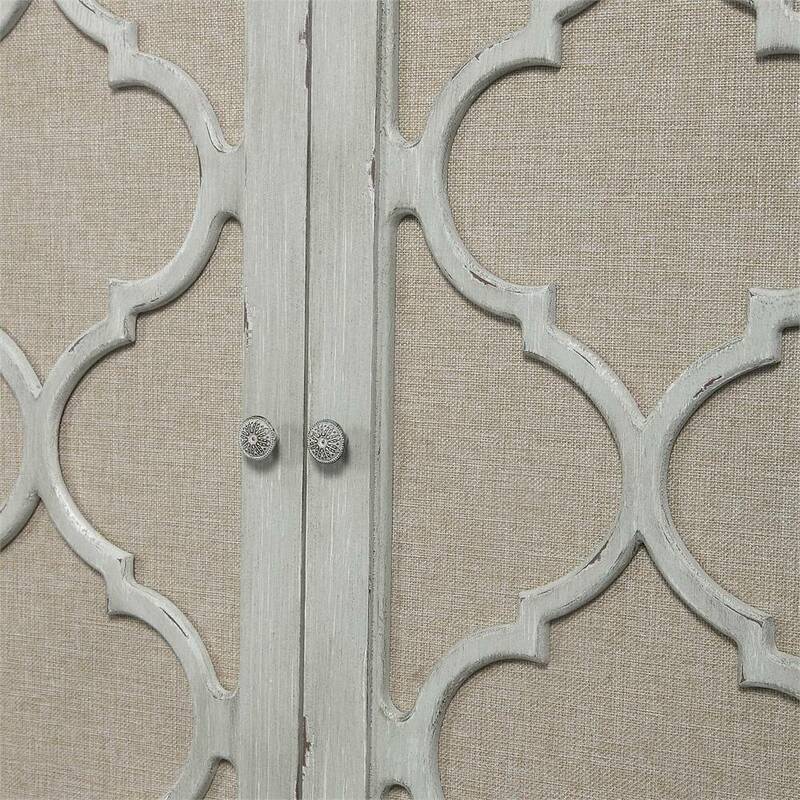 It's gorgeous in our new bedroom.